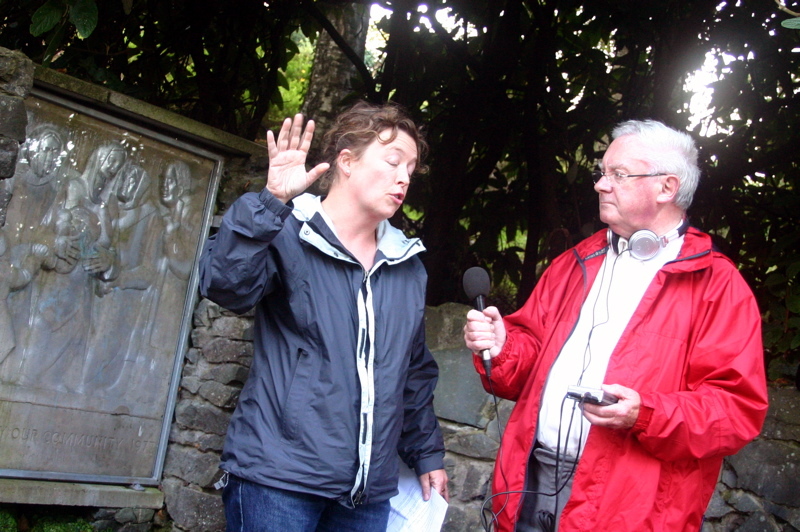 Pauline Fagan being interviewed by Donncha O Dualing in 2007. The importance of recording local history will be the theme of a conversation event in Ballitore Community Library during National Heritage Week 2018, writes Brian Byrne. Organised by the Librarian, Pauline Fagan, it will feature a talk with the County Kildare Executive Librarian, Mario Corrigan. Taking place on 23 August, the session will be 2.30pm-3.30pm, and admission is free. There is full wheelchair access, and ample parking, but the event is not suitable for children under 12. Further information is available by phone at 059 8623344, or email ballitorelib@kildarecoco.ie. Meanwhile, a reminder that there will be two 'Meitheal of Memories' events in Kilcullen Heritage Centre — on Wednesday 22 August (11am-1pm) and Thursday 23 August (7pm-9pm) — for people to bring photos relating to Kilcullen and tell the stories behind them. And on the evening of 22 August, Kilcullen Community Library will host historian James Durney talking about the 'End of Days' ending of of WW1 a hundred years ago. It starts at 7.30pm. Admission is free. It is not suitable for children under 12.